I was recently sent a few goodies from Antipodes to introduce me to the brand, and I've been obsessed with the 'Joyful' hand and body cream ever since. It smells delicious and leaves my skin feeling super smooth and soft thanks to the avocado oil in it. The best thing is that the ingredients are all natural so you know you're not putting any harsh chemicals on your skin. I'm hooked already and can see me wanting lots more from this brand! It's not the cheapest in the world but the packaging is gorgeous, the product is fab and the fact the ingredients are all natural makes it even better. 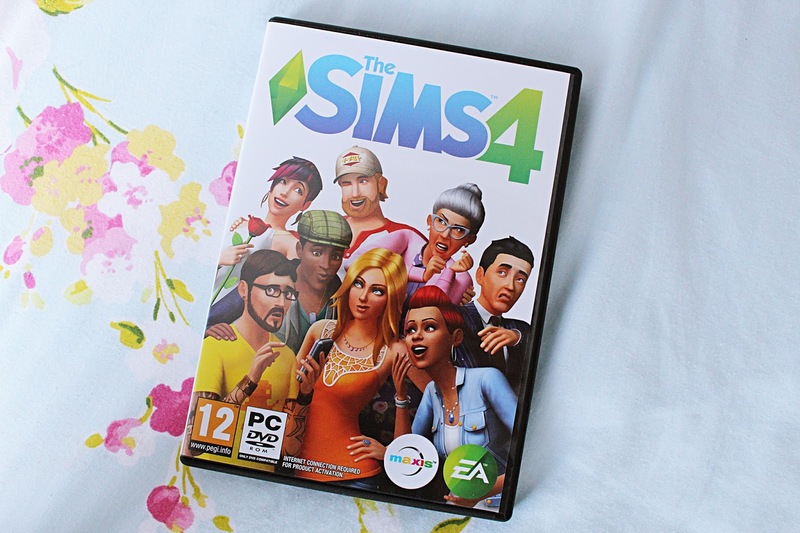 I've been a Sims girl for years - after discovering the game on the shelves of my local Game store all those years ago, I never looked back. If you've never played The Sims, you are seriously missing out. I can lose whole days to this game - with no regrets. The new Sims 4 game recently got released on Mac (hoorah!) and I had to grab it as soon as it was available. I've been playing it for a couple of weeks now and I'm impressed with a lot of the features - there are so many details in this version it's insane. Now I'm just looking forward to all the expansion packs! Seriously, just take all my money EA Games. 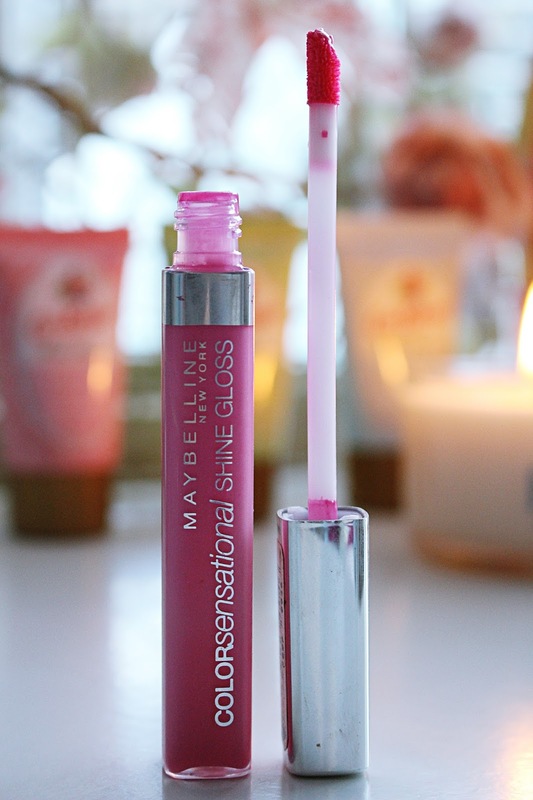 I got this lipgloss last year and fell in love with it straight away, but over the winter months I neglected it. Now it's officially spring (sort of) I thought I'd dig it out and I'd forgotten how much I love it. I'm not normally a fan of lipgloss at all, but this one gives such a lovely colour and finish. It's not really sticky like traditional lipglosses either, and the colour pay off is fantastic. It also looks amazing with a tan. I don't use much from Maybelline if I'm honest but this has definitely made me more inclined to check out the counter when I'm next shopping. You all know I love unicorns, right? Having been a fan of fantasy novels growing up, and a fan of the film The Last Unicorn (even though the Red Bull used to scare me) when I was little, now that unicorns seem to be very 'in' I am totally jumping on that bandwagon. 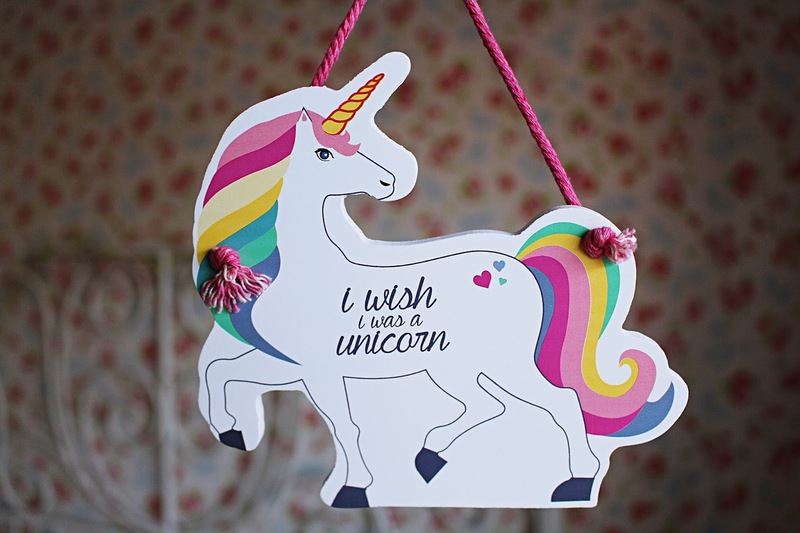 I have unicorn plush toys, unicorn ring holders, unicorn paintings and it's pretty much a given any item of clothing I see with a unicorn on, I buy. So, when I saw this in New Look it made perfect sense that I bought it. I'm not sure where I'm going to hang it yet, but it'll fit in nicely with the rest of my unicorn accessories, I'm sure. Like the majority of people, I've been known to get stressed out sometimes. When I do get stressed, I usually find a good solution to help me relax is to light a candle and have a pamper session, listen to relaxing music and just 'be'. 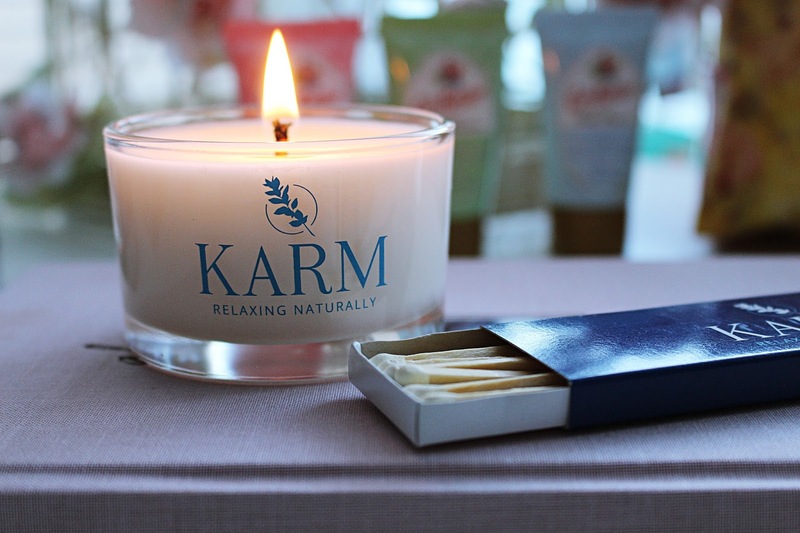 So, when Karm Candles got in touch and said they'd like to send me some to try, I had to say yes. I wasn't sure what to expect, but honestly these luxury scented candles smell amazing and come beautifully packaged in a gift box. They're available in a wide range of different scents and they even come with their own matches - I mean, it doesn't get much better than that, right?! At £14.99 I think they're a great price compared to some of the higher end brands out there and are totally worth checking out. 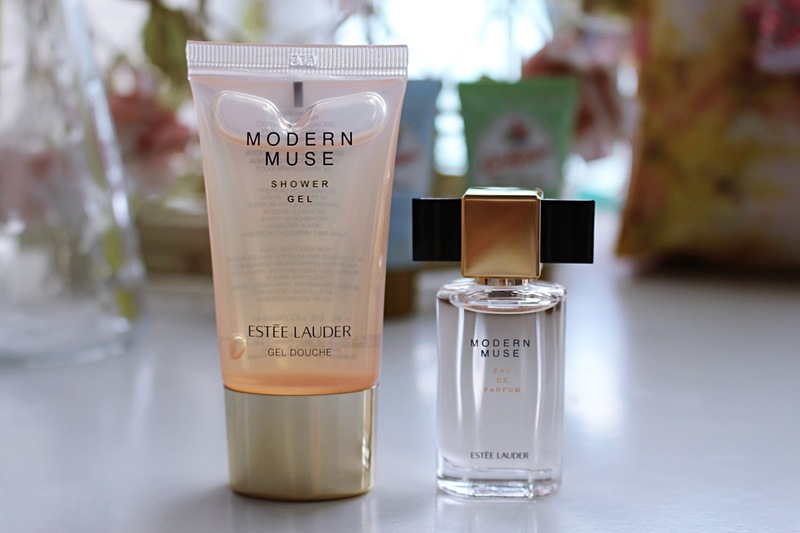 I've been meaning to mention my love for Estee Lauder's Modern Muse fragrance on here for a while now, and when I received a little sample of the perfume and the shower gel recently I thought it was the perfect opportunity. I've always loved Estee Lauder's fragrances, but this is the first one that I've fallen head over heels with. It smells seriously incredible and is definitely one of those 'classic' fragrances everyone needs in their perfume collection. 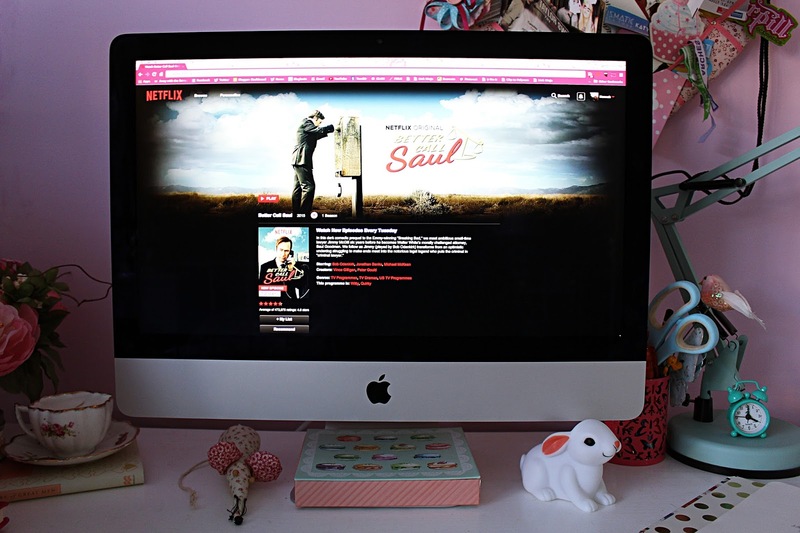 I've become a bit of a Netflix addict lately - okay, so I've always been known to binge-watch series on there, but it's reached a whole new level recently. I got the free month trial thing last year and made the mistake of watching a few episodes of Breaking Bad, which then turned into me spending weeks solely consuming the frankly incredibly series. I didn't finish it in time for the free trial to end, so since then I've been paying the £5.99 a month to use it and honestly, I think it's totally worth it. There are a lot of dud films on there, I'll admit, but for TV series it's amazing. I'm currently hooked on Pretty Little Liars (no spoilers please) and Better Call Saul, the prequel to Breaking Bad. The good thing about Better Call Saul is you can't binge-watch the whole thing in one sitting - they're releasing an episode a week which is fine with me. I'd also put my hands up and say Netflix is worth getting purely for Orange is the New Black - another incredible TV show that is a total must-watch.